How Houdini really died. Finally the truth is told. 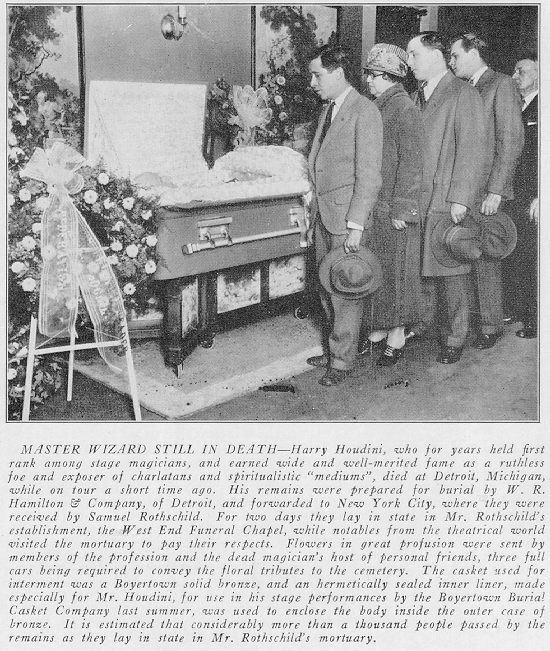 Doctor Charles Kennedy one of Houdini's doctors in Detroit. He was called in when the regular doctor on duty was on vacation. He stayed constantly by Houdini's side in Houdini's final days. He had just opened his practice and had the time. It made him famous and he got many clients as a result. Houdini was too far gone, and no medicines existed for his malady. 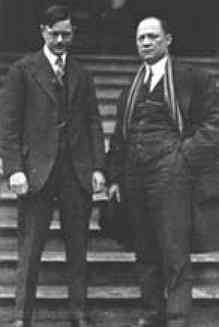 Houdini's brother Theodore (Hardeen) is on the right of the picture. 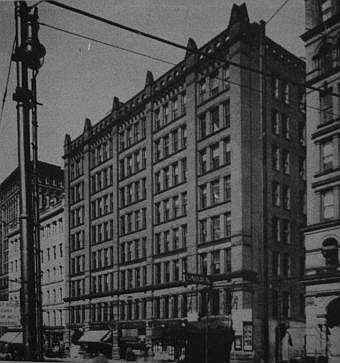 Over 1,000 people lined up to see Houdini's body when it was brought to New York City at West End Funeral Chapel. 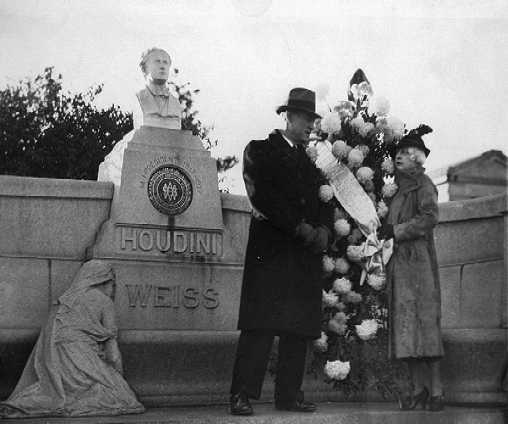 Beatrice Houdini and his brother Theo (Hardeen) visiting Houdini's grave.